Two men from South Yorkshire have been convicted of fraud after a 15 week trial at Nottingham Crown Court. Ian David Shakespeare from the village of Wales near Sheffield and Charles Ernest Frisby from Rotherham, were both found guilty of fraudulent trading while they were directors of a group of investment companies based in Derbyshire. 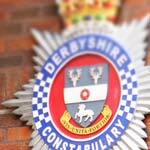 Detectives from the East Midlands Regional Fraud Unit, which is part of Derbyshire Constabulary's Economic Crime Unit, began their investigation in the summer of 2009. It followed a complaint from a shareholder of Zoemack Ltd that their investment funds had been misused by the directors of the company. Zoemack Ltd was originally based in Chapeltown, South Yorkshire but later moved to Barlborough, Chesterfield. The company entered administration in 2008 and at that time owed more than £7m to 90 private investors and more than £7m to four high street banks. During the course of the investigation, detectives took statements from more than 200 witnesses and gathered more than 500,000 pages of documentary evidence. Their findings were presented to the court in a trial that started on January 12th, 2015. Detective Sergeant Andy Small, from the investigation team, said: "Investors and lenders involved with the company were duped into thinking that their money was being used for the sole purpose of purchasing and developing distressed properties. In reality, large amounts of their money was used to fund the lavish lifestyles of the two defendants, their families and their friends. "Many of the private investors were planning for their financial security as they entered their hard-earned retirement, but they were conned into re-mortgaging their family homes and cashing in their pension to invest in the scheme." Charles Frisby was found guilty of two counts of fraudulent trading for the time he was a director of Zoemack Ltd and Crestamax Ltd.
Ian Shakespeare was found guilty of four counts of fraudulent trading for the time he was a director of Zoemack Ltd, Halewood Properties Ltd and Investrite Ltd.
Detective Sergeant Andy Small added: "The result of this case doesn't bring back the financial security nor the futures that the victims had worked long and hard for, but I hope it gives them some sense of satisfaction that justice has been done. These two defendants will now have the futures they deserve. "We will continue to work hard to recover any assets Frisby and Shakespeare have gathered, in the hope that we can secure some form of compensation for the victims." Detective Inspector Rob King, Head of the Derbyshire Constabulary Economic Crime Unit said: "This has been an exceptionally complex and protracted case and, notwithstanding the time taken to achieve convictions, there are some important messages here not just for the victims in this case but the offenders as well. "I believe this case demonstrates, unequivocally, the lengths we will go to track down, investigate and ultimately prosecute those responsible for misleading members of the public into parting with their savings. "Fraud can be a devastating crime and, whilst we will respond positively to these crimes, members of the public are urged to help themselves and follow some simple fraud prevention advice which can be found on the Derbyshire Constabulary website under the campaign name Stamp Out Fraud in Derbyshire." The jury deliberated for nine days before they reached their verdicts. Frisby and Shakespeare will be sentenced at 12 noon on Thursday, May 21st, 2015 at Nottingham Crown Court. Following two highly successful training sessions in Derbyshire, youth workers in the county are signing up for further 'Fearless' local training events.